January is over and we are halfway through February now. Isn't that insane?! Time is flying by. This month is a pretty busy month for me with Valentines day tomorrow and my birthday at the end of the month. I'll be turning 21. Oh em gee. Exciting! 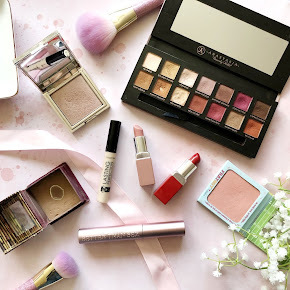 Anyway, seeing as the month of January is over I thought I would share with you my favourite beauty products that I have been thoroughly enjoying. 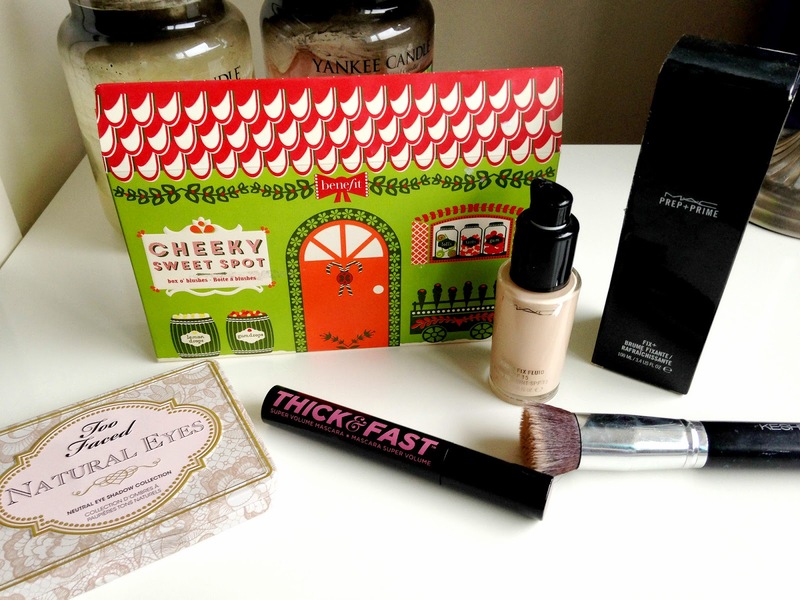 In December there were so many incredible releases from well known brands and luckily enough I received one or two for Christmas from my other half and they've now made their way into my favourites. Also, during January I fell in love with a new eye shadow palette, discovered a new mascara and fell back in love with an old favourite. I received the Too Faced Natural Eyes Palette for Christmas from Josh after months of lusting after it and I haven't stopped using it since. It has the perfect mix of both matte and shimmer shades. My favourite and most used shade of them all is 'Push Up' which is a gorgeous coppery, brown. 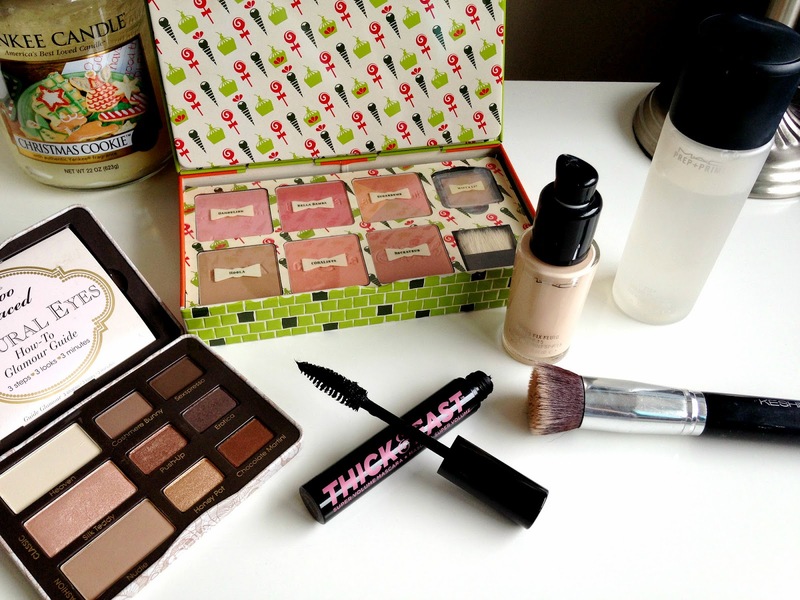 I always use it as an all over the lid colour, it really makes my green eyes pop. 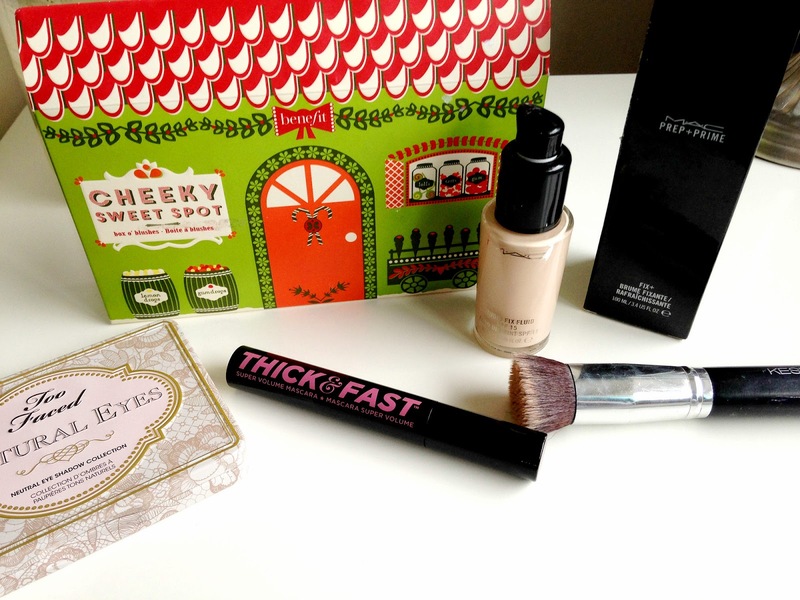 Another Christmas present that I received from the other half is the Benefit Cheeky Sweet Spot Box O' Blushes. They are all so so beautiful. It's difficult to choose just one but my favourite has got to be Dandelion. It gives the perfect flush of colour to the cheeks. January was the month that I rediscovered my love for the MAC Studio Fix Fluid Foundation. It does everything I need in a foundation. It conceals, has the right amount of coverage and most importantly, it is sooo close to my skin tone. I also repurchased the saviour that is MAC Prep and Prime Fix Plus after months of being without it. A quick spritz of this after applying my foundation, powder and blush and there is no sign of any cakiness whatsoever. It's really incredible, it makes my face look super flawless. I have been non stop using my Keshima Flat Top Kabuki Brush for months on end. I have put my Real Techniques Buffing Brush away in favour of it. It blends my foundation in beautifully with no streaking and the bristles are such great quality. They're so soft and gentle. Last but not least is a new mascara love. I hardly ever chop and change when it comes to mascara. If I like it, I tend to stick to it. But recently I decided to change it up a bit and test the Soap and Glory Thick and Fast Mascara out and I absolutely loveee it. It does exactly what it says. It thickens up the lashes in no time at all. What are your January Beauty Favourites?